God of War Review in Progress - Is Bigger Always Better? Home » God of War » God of War Review in Progress – Is Bigger Always Better? Before we begin, I’d like to point out that I am a huge God of War fan; have been since the earliest days. Ever since they announced a new game, I’ve been following every little bit of info that the developers put out. I couldn’t wait to get my sweaty mitts on the brand new God of War. Be warned that I haven’t played through the whole game yet, since we got it only two days ago, but I went through about third of it and I can talk about some things I liked and some things I definitely disliked so far. So, let’s get into my impressions of God of War so far. 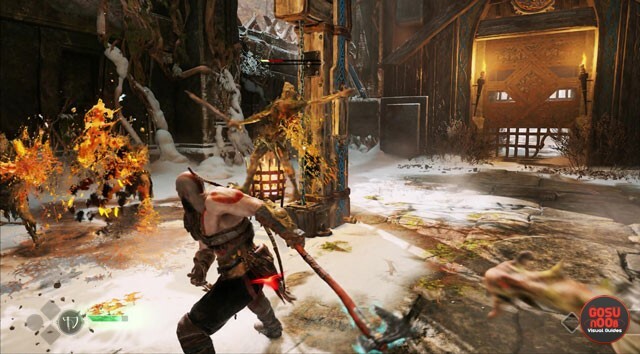 First off, let’s take a gander at what’s new in this God of War. The first thing, obviously, is the setting. We have left Greece after thoroughly ravaging it, and will now be exploring the great wild north, chock-full of Norse myth and mystery. Since I’ve studied Norse mythology quite a lot, I was looking forward to seeing what the devs would do with it. Of course, with this new setting come brand new dangers, such as ogres, trolls, draugr, wolves, and other creatures I won’t mention for fear of spoilers. I can’t really discuss the story either. There’s a fair share of spoilery stuff, so the less I say, the better. 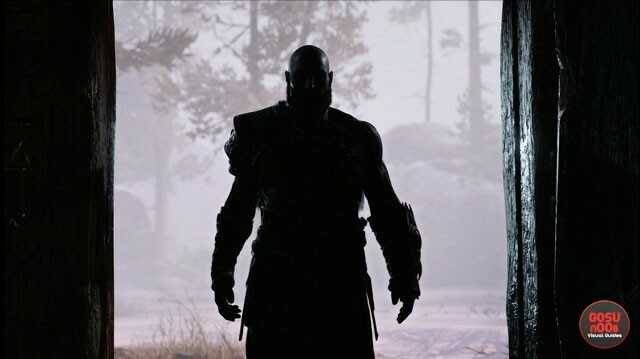 Another huge change is our beloved god of war himself, Kratos. He’s now old and showing signs of weakness. He still puts on the facade, but it’s clear he’s starting to slip. He also has a new weapon, but more on that later. This is a whole new perspective on Kratos; one which I think is very welcome. For the first time, he has a tangible emotional center in the form of his son, Atreus. Their relationship is strained, but slowly progresses as the events of the game unfold. Initially, I was worried that Atreus would be an annoying burden. However, he doesn’t talk too much, and is actually extremely useful in battle. I defeated one or two bosses using almost only his arrows. I really like how they develop this relationship through bits of dialogue, such as Kratos telling Greek fables to Atreus while they’re in a boat. I mean, I let out an audible “aww” a few times during certain cutscenes. It’s pretty good stuff. Visually, the game is gorgeous. The amount of detail is fantastic. I haven’t noticed much of a difference between the look on PS4 and PS4 Pro, but maybe that’s just me. Regardless, the game looks stunning. The new camera angle is an interesting change of pace, but it does come with its drawbacks. In my time with the game so far I found the epic sense of scale seriously lacking in comparison to the old games. Other than a certain temple, nothing has really taken my breath like the horses in God of War 2 or the temple on the back of Kronos in the first game. Because the camera is stuck on Kratos’s shoulder, I found myself unable to really appreciate the scope of things. I can’t wait to get to the rest of the game to see if the developers will prove me wrong. As far as audio presentation goes, it’s solid. The voice acting is excellent, and the music is good enough. The meat of God of War games is the gameplay, with the star being the combat. While it can get repetitive at times, it’s pretty satisfying. The Leviathan Axe is a lot of fun to use. There’s a bunch of stuff you can do with it, such as freeze an enemy while you take care of the other one. The combos, at least for me, aren’t as fun as they were before, but they’re still pretty good. You unlock them by unlocking skills and upgrading your axe with runes. You can pull off some pretty crazy stuff, but you’ll never really have to. That said, it’s kinda fun to play around with different builds for Kratos. Also, as far as bosses go, the quicktime events of yore are gone. The only thing that remains is executing the finishing move by pressing R3 when the game prompts you. What puzzles me greatly is that, in my limited time with the game (16 hours so far), they didn’t do much interesting stuff with Norse mythology; at least, enemies-wise. Basically, even though they’ve been redesigned and have new names, all of the new enemies behave exactly like the old ones. Revenants are medusas, beefed-up draugr are minotaurs, and so on. That in and off itself is fine. It’s the lack of boss variety so far that I’m having problems with. Consider the variety of bosses from before. The Hydra, the Medusa, Ares, the Colossus of Rhodes, The Kraken, and so on. 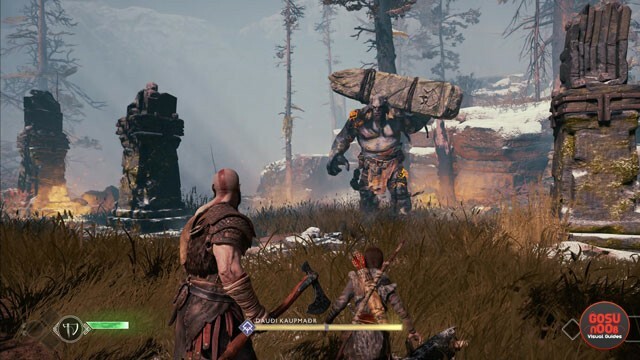 The first God of War technically has only four bosses, but each encounter is memorable and unique. Here… most of them are just trolls so far (again, in my limited experience, the game will probably prove me wrong), which behave almost the same. I’ve had two boss battles so far that weren’t trolls, and only one of them had me really engaged. I hope this picks up later, I really do. Another important part of the God of War gameplay is the exploration. The developers have mentioned that they’ll be making the world bigger, almost open world. And, that is kinda true. There is a lot to explore. Unfortunately (or fortunately, depending on your position), it’s still just corridors. Make no mistake; while there is a helping of open-world exploration, this is still very much a corridor crawler. That in itself wouldn’t be a problem. What is the problem is that now the corridors are longer and there’s a lot more of them. There is also more stuff to find, but you’re still exploring corridors. And therein lies my problem with this game. It gets monotonous. There’s so many corridors, with truckloads of collectibles and crafting materials galore, as well as bits of lore and other stuff that in theory should be interesting. However, I found myself not caring for it all. I started seeing it as a waste of time. Lastly, the puzzles. The puzzles are fairly simple, for the most part. New players will figure them out easily, and God of War veterans will feel right at home. The most trouble you might have is finding a certain puzzle element due to the camera placement. Some puzzles were fun to solve, and if I had a problem with them, it was because I wasn’t paying attention or didn’t stop to think things through. Other puzzles are incredibly annoying. I’m looking at you, runes on bells that you have to hit in a strict time limit but I can never get to all of them in time because I can’t aim the axe quickly enough and gaaaaaaaah. Again, this is my limited experience with the first, like, third of the game. I’m holding out hope that things will get better. To make things worse, the exploration stops the story dead. 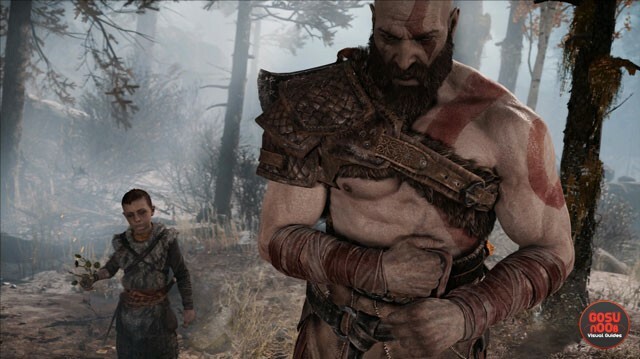 Unless you’re in a boat, there’s next to no dialogue between Kratos and Atreus, so even their relationship isn’t getting developed. Sure, you might learn a little bit more about the area you’re currently in, but who cares? None of the levels and enemy designs are interesting enough for me to want to learn more about them. I don’t want to read journal entries if all they do is add next to nothing to the proceedings. Simply put, the lore, and even the exploration to an extent, is mostly unimportant and not worth your time in my opinion. The first three God of War games were carefully constructed experiences. You follow the road, and everything that happens is tightly scripted. The new God of War is trying to straddle the line between more open exploration and railroading the player, and it really doesn’t mesh well. In a more curated experience, such as the God of War games of yore, everything you could find on your journey was immediately available. If you were going to backtrack, the game always made sure to give a narrative reason for it. There were chests aplenty, but their contents had nothing that wasn’t essential. 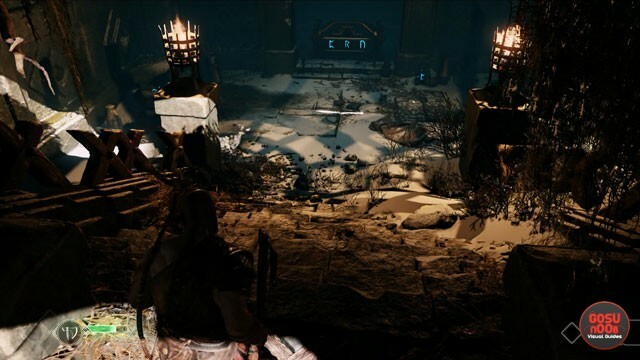 The open world aspect of God of War had me backtrack through areas I’ve already cleared, and nothing new happened. It lacked the epic feel of previous games. In the new God of War, I feel that this aspect could have been done better, all in all. Let me give you an example. 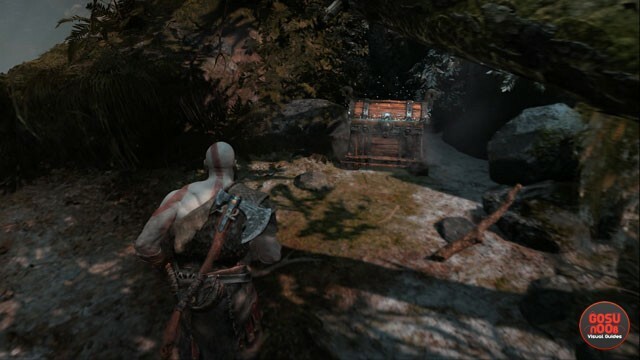 During my time with the game, I’ve passed several chests that I couldn’t unlock. I had to get the appropriate magical ability to open them. It seems to me that the game expects me to go back for those chests. I won’t be doing that. Why would I, when there’s chests everywhere? Moreover, if you want to offer a more open approach, then give me more options to open the chest. Plus, other than the usual collectibles that increase your Health and Rage Meter (no magic meter here), other collectibles hold no heft. There are sets of artifacts that you can get, but all you get for finding them is XP, and you can then sell them. When I discovered that you can sell these artifacts even though you don’t have a complete set, I gave up on actively looking for them. All of that said, please understand, I’m not calling the new God of War a bad game. It is a really good, good game; even a lot of fun sometimes. I mean, my colleagues that have no prior God of War experience have a lot of praise for the game. But for me, it bogs itself down way too often. There’s heaps of stuff to collect, but most of them aren’t really worth your while. And while you’re exploring, the story just grinds to a screeching halt. It’s a shame, because there’s so much love and effort in this game. I’m not going to give my final score before I finish God of War, since my opinion might change by the end, but as it stands now, I’m not feeling this. However, I’m holding out hope! I’m going to dive right back into the fray and let the game enthrall me. There’s still plenty of time for God of War to change my mind.